Whether you’ve been practicing a healthy lifestyle for years, or you’re new to buying organic and GMO-free and reading ingredient labels, what you’re putting into your body is just as important as what you’re putting on it. Did you know that laundry detergents, face wash, toothpaste, lotion, shampoo, dryer sheets and other common household items are often full of chemicals? The harsh and dangerous chemicals in these products can be ingested, absorbed through your skin, and wind up in your bloodstream, leading to many possible health problems. Eating healthy is great, but it might also be time to take a look at the cleaning and beauty products in your house, to make sure you aren’t exposing yourself to unwanted chemicals. Chemicals in many popular soap brands have been shown to disrupt hormones, promote allergies, lead to reproductive issues and even increase risk of some cancers. Thankfully, there’s a safe and natural alternative – castile soap – and here’s why you should make the switch! Putting chemicals on your skin can be even worse than ingesting them! They can seep through the skin and become absorbed into the bloodstream before they have a chance to be filtered. Castile soap contains only vegetable-based ingredients such as coconut oil, olive oil, hemp oil and jojoba oil, as well as essential oils. If you’re serious about protecting your body from harsh chemicals, remember that the environment deserves that protection as well! 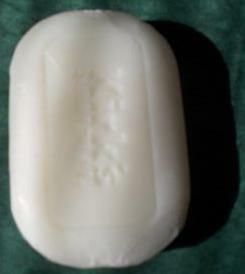 Castile soap is free of artificial foaming agents, colors, fragrances, chemicals and toxic anti-bacterial agents. It is a completely natural product that is biodegradable. Products you can trust are important when it comes to your family, and your pets! Castile soap is made from natural ingredients and free from any harsh chemicals. It can be used on your child’s sensitive skin without irritating it, and your furry friend’s eyes will be safe from irritation as well! If you’re careful to put only the best ingredients into your body, it’s important to do the same for the outside! Castile soap uses vegetable oils instead of animal fat, so it’s a great options for vegans and vegetarians. Dr. Bronner’s is a popular brand of castile soap that is certified vegan and cruelty-free in both liquid and solid forms. As strange as it may seem, many of the liquid soaps that are labeled “anti-bacterial” can actually promote the growth of bacteria! They contain a synthetic antibacterial ingredient called triclosan – a chemical that is registered as a pesticide with the EPA. Castile soap is free of this ingredient, and it works the way it’s supposed to in order to fight bacteria! The post 5 Reasons to Choose Castile Soap and 15 Ways To Use It appeared first on DavidWolfe.com.